One important reason for the current rise of predictive policing in Germany is the recent boost in the development of digital technologies and the associated possibility of analysing huge data sets at relatively low cost by utilising mathematically deduced algorithms. Economic motives also play a vital role in the implementation process, as it is hoped that policing can be organised more rationally by the more effective allocation of police patrols. However, in addition to technical and economic factors, the rise of predictive policing in Germany is above all a political phenomenon, involving the discursive shaping of domestic burglary as a security problem. Furthermore, the ways, how the technologies utilised for predictive crime data analysis are discursively referred to, play a vital role in this discourse. 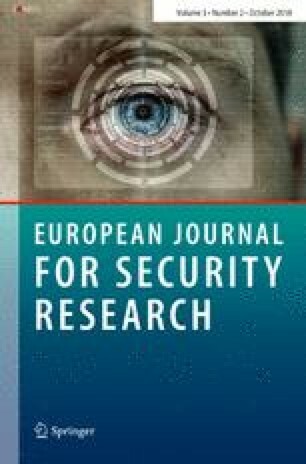 These new prediction tools facilitate rhetorical links for politicians and police authorities in legitimising their ambitions to fight crime and enhance public security, presenting their methods as innovative and effective and making these technologies important components of corresponding security discourses. The research for this paper was funded by the Fritz Thyssen foundation (Award Number 10.16.2.005SO).